Slide rule jokes in the form of hoaxes and spoofs appeal to many collectors -- and not just on April Fool's Day. All of the following examples are from the International Slide Rule Group (ISRG) list, or predecessors, presented here in chronological order. See the Hoax Museum for much more on this form of humor. Schmendrolog S153 Slide Rule Hoax. Joe Levine (aka "JoeDentist"), now deceased, invented a rule called the Schmendrolog S153, complete with manual and box, and posted it as an eBay auction! For images see the Sphere Frankenrule site. fooled, and I've been collectiing for almost three months now. EBAY can not be trusted to be completely accurate. I mourn my innocence. This item has just recently come into my possession from an estate sale. of the electronic calculator was just about to render slide rules obsolete. picture takes a while to load, but its worth it! Left Handed Slide Rule Hoax. I'll email Walter a copy. Slide Rule for Dummies, Book Hoax. 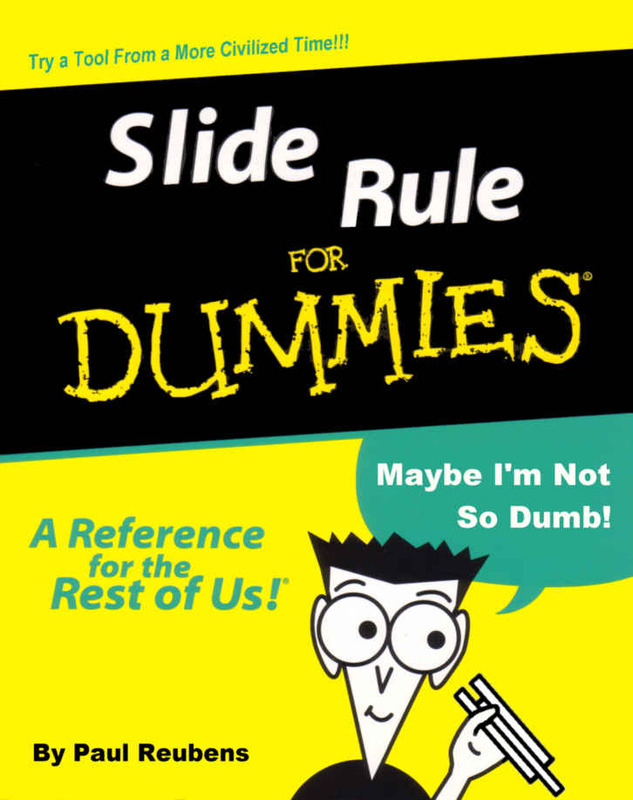 Chris Redding made an imaginary addition to the "For Dummies" allegedly authored by Paul Reubens (of PeeWee Herman fame) and titled Slide Rules for Dummies. This prompted Jim Cerny to draft a page for an imaged Slide Rules for the Innumerate (PDF). Message 8477 on the Yahoo ISRG list. Yuri Gagarin Slide Rule Hoax. Jim Cerny commented on an auction house that was selling a slide rule signed by the Soviet Cosmonaut, Yuri Gagarin. Jim's posting was followed by Ed Chamberlain's impressive description of an encounter with Yuri Gagarin. The tip-off was the date, since Gagarin died before 1973. As far as we know, everyone was taken in! Message 19145 on the ISRG List. Subject: Re: SR a Yuri Gagarin flight slide rule on eBay???? rules, I was amazed to find out that Yuri was also a slide rule collector. willing to sell it to the underbidder on this auction for a fair price. Do svidaniya & Schastlivo ostavatsya !! >auctions, but can't resist this one. >bid of $2.5K. Oh yes, and they want to charge a 20% buyer's premium! 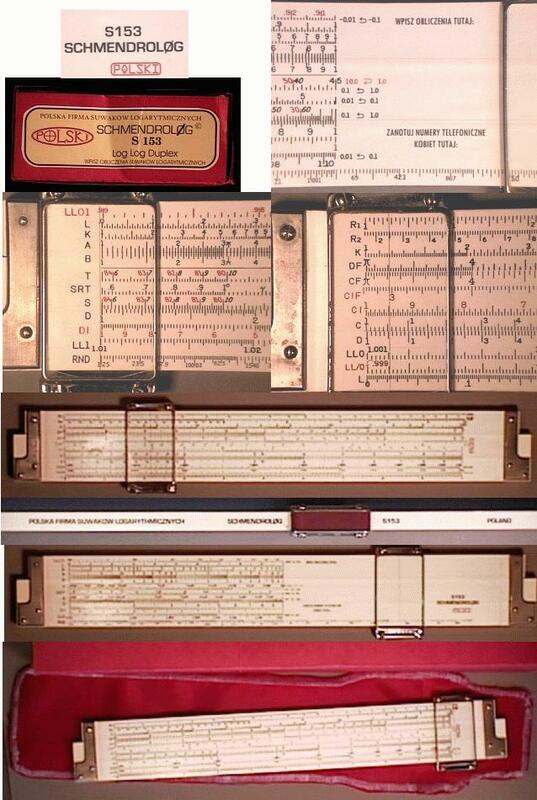 >Einstein Nestler slide rule you might be interested in as well!! Images were saved by Jim Cerny at the time the hoaxes occurred. Text for the original postings was obtained from Rod Lovett's ISRG archive. Thacher for Children Slide Rule Hoax. quite pleased with it since it claimed some notable scalps, including Ed Chamberlain! 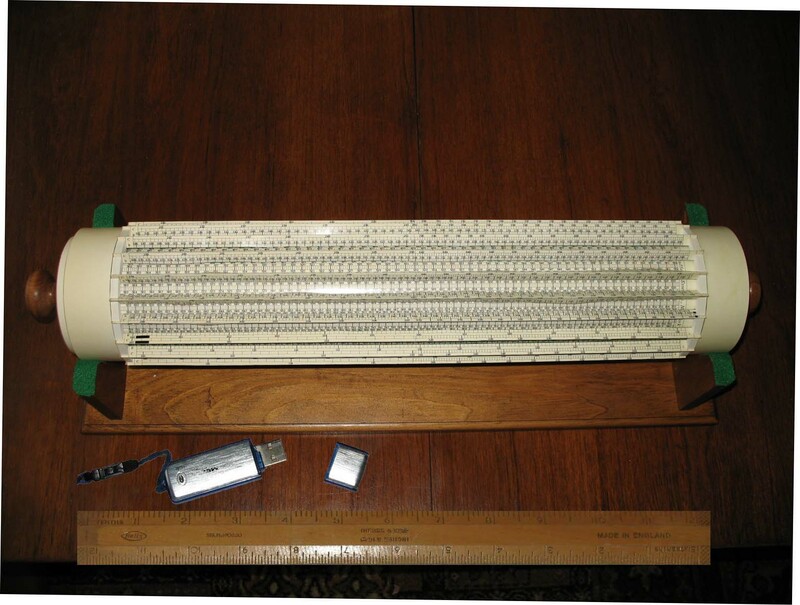 There is no doubt that serendipity can play an important part in the life of a slide rule collector. It started when an international flight to Osaka in Japan was diverted for reasons about which the pilot was quite vague. After circling for what seemed like for ever but probably was only a couple of hours and running low on fuel we were diverted to the nearby Kobe airport across Osaka Bay. Our group, attending a conference on 6th generation programming languages, decided to stay in Kobe for the night and move on to Osaka the following afternoon. In the morning we decided to explore the Kobe Port Tower and it was there I met an old (by definition anyone at any time who is fifteen years older than me is old) chap who immediately recognized the Aristo 868 I carried in my top pocket and became extremely animated. He had no English and I have no Japanese but in our group were two proficient Japanese speakers (sadly not interested in slide rules) who said that the Japanese chap (whose name as I later found was, or as close as I can make it, Sato Hiroshi) was claiming that he collected "keisanjaku" and had a "very small, very rare cylindrical keisanjaku" which he called a "thecha". The Japanese translators being quite young (fifteen years younger than me is quite young) didn't understand the word "keisanjaku" but got the impression it was some sort of calculator - in this they were correct. The word "thecha" struck a chord and I asked him how small? He held his hands about 12" apart. I asked him whether perhaps it was really about 2 feet long, holding my hands out by that amount and he said , "No!, no! no!" and held his hands out again at about 12" apart. Over a period of two hours, writing copious notes and with much repetition from the interpreter this is the bare bones of his story fleshed out later with details of the larger picture. Shortly after WW2 an American, Dr. W Edwards Deming, who was part of General Douglas MacArthur's administration during the occupation used his ideas on Statistical Quality Control to help Japan rebuild its manufacturing infrastructure. (This methodology, in which quality control was central, was to enable Japan in less than twenty years to out-manufacture in terms of quality the combined might of the United States and Europe. 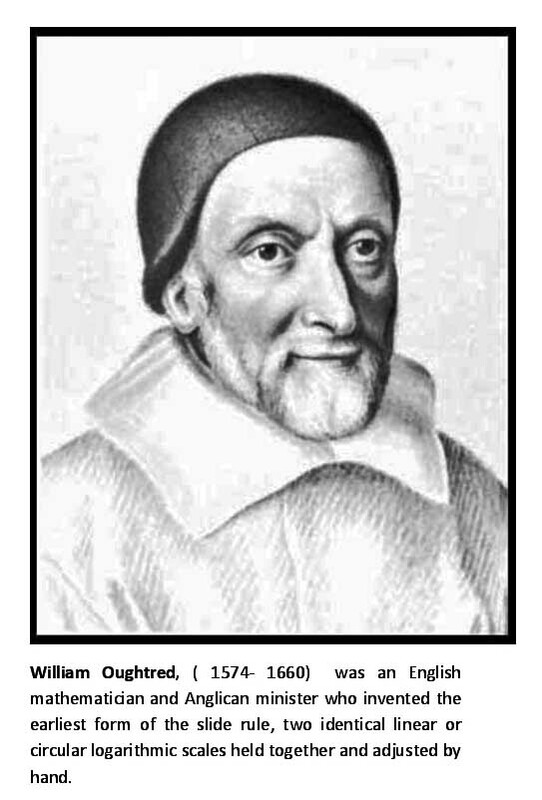 A fascinating account can be read by Bruce Craven, "Thoughts on Japan, Deming, Quality and the Statistical Quality Control Slide Rule", in the Journal of the Oughtred Society Vol. 9, No 2, Fall 2000 Pg 59.). 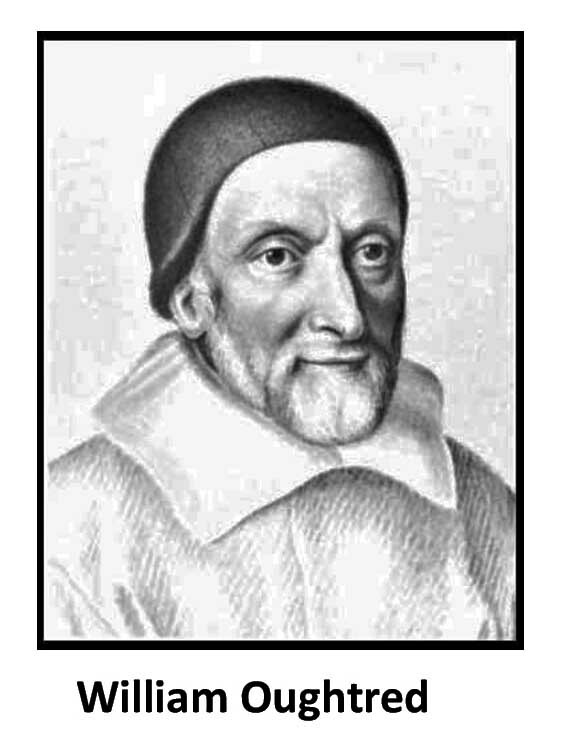 The mathematics involved was not straightforward and it was long before statistical rules such as the Pickett Model 6 had been developed. The Japanese were determined to use these statistical techniques (long before the Americans and Europeans) across the whole range of their manufacturing industries but quickly came across a problem. They had a completely inadequate number of mathematicians for their requirements. Then someone had a brainwave, The calculations, although complex, could be broken down into a long sequence of much simpler calculations involving only multiplication and division. A production line of human calculators (called computers in those days!) would be used in which successive result were passed down the line and once the line (of fifteen) had been filled - effectively priming the pump - a high level of parallelism and hence speed could be achieved. A squad consisting of two teams of fifteen calculators each was used and a result was accepted if the two teams had agreement within 1% of each other. It was quickly realized that conventional slide rules, even 20" ones, created rounding errors which quickly built up and made the results meaningless. However, Thachers and Fullers were more than accurate enough. The problem of manpower remained. It was decided at a very high level, but by whom remains a mystery, that since the need was so urgent and there was a dearth of manpower then, in the short term, teen-age children could be used for this purpose. In a trial of a Fuller it soon became apparent that, although accurate enough, it was just too awkward for the children to use and hence too slow; even by reasonably adept children in their mid-teens. At this point they moved their trial to a Thacher which again proved accurate enough but again was awkward to use because of its size and the comparatively small physiques of, in the early days, the somewhat malnourished children. However it was considered to be capable of greater speed than the Fuller and a remarkable decision was made, ignoring all patents, to create a batch of reduced size Thachers suitable for children. After brief analysis of a typical child's range of movements, it was decided to reduce the size of a Thacher from approximately 22.5 inches to approximately 12.5 inches. Somewhat surprisingly this had very little impact on the accuracy (or do I mean precision?) of the device. In the amazing short time of three months, a prototype had been created which proved eminently satisfactory and over the next two years a small factory in Kobe built, it is believed, approximately 3000 of these devices to be circulated to 100 squads scattered throughout Japan. Was this the start of what was to become the Japanese talent for miniaturization? Sato Hiroshi was a calculator in the only squad based in Kobe. The operational life of a squad was approximately 3 months after which burn-out set in rapidly and accuracy dropped off. Rather than replace complete squads at the same time, a program was introduced to replace members in the squad at set intervals to minimize the disruption. (It was very quickly noticed that whilst boys were significantly faster than girls they lacked the staying power and needed more breaks than the girls. The organization of such teams therefore was quite difficult.) The whole program was eventually wound down after approximately five years - why, Sato did not know but felt that it might have been due to government pressure concerned about the "inappropriate" use of the children. Sato, though, had nothing but praise for the program which he said gave him, and others, a life long interest in statistics and led him to become a teacher of the subject. Sato Hiroshi was in the last operational squad in Kobe at which time the rules became surplus to requirements. How he acquired the two mini Thachers I do not know and did not ask! I made it quite clear that I would love to buy one of the mini Thachers and he made it quite clear that he really wasn't interested in selling. At some point a mismatch of cultures developed. Apparently I should not have made my disappointment so obvious. On seeing my manifest sadness he gave it to me for nothing! I couldn't possibly accept such an offer and made this quite clear at which point he gave all the indications of being somewhat insulted. The interpreter who was in the middle of this mismatch eventually solved the problem by suggesting that I accept the offer but then pay a significant amount for the wooden box in which it came (itself a minor work of art)! Honor was thus satisfied and we departed on very good terms.